Also known as ‘Island of the Gods’, Bali is a beautiful Indonesian island, famous for its rich and inviting culture, as well as its stunning beaches, jungle vegetation, temples and volcanoes. This itinerary will help you find a balance of relaxation and activity during your trip to Bali. We want you to explore as much of this paradise as possible, but also have the time to sit back and escape from the stresses of daily life. If you’re trying to figure out what to do in Bali for a week, this guide will be perfect for you. When’s the best time to visit Bali? How many days should I spend in Bali? How can I manage the jetlag? 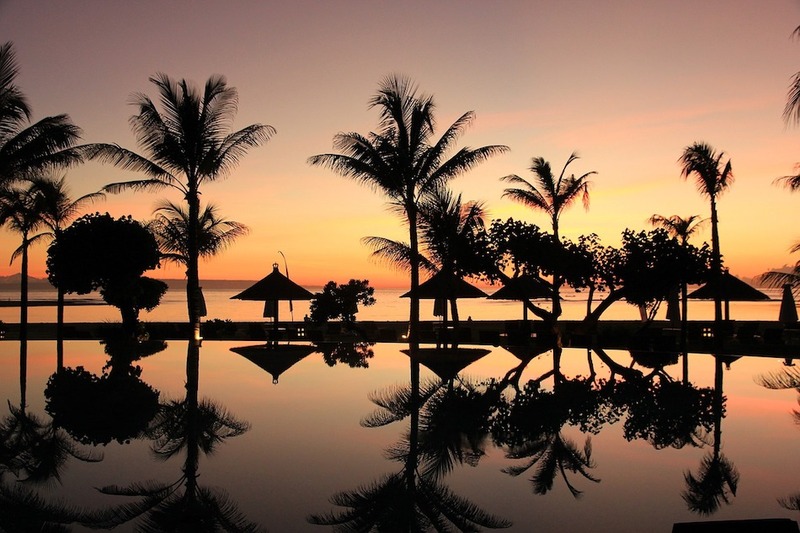 For a 1 week stay in Bali, we think it’s best to find accommodation in only two places. This way, you’ll spend less time travelling, packing, and unpacking, and more time soaking up the beauty. The two places laid out in this itinerary are Ubud and Seminyak. However, your experience won’t be limited to only these places. We’ve planned out some excursions, so you’ll get to see and explore more of the island, and pack in some great activities, too! This itinerary suits all types of travellers; it’s great for families, couples, and groups, but is perfect as a Bali solo travel itinerary too! Tip: If you can, try to get a flight that arrives early on ‘Day 1’, or sometime the evening before, in order to make the most of your trip. 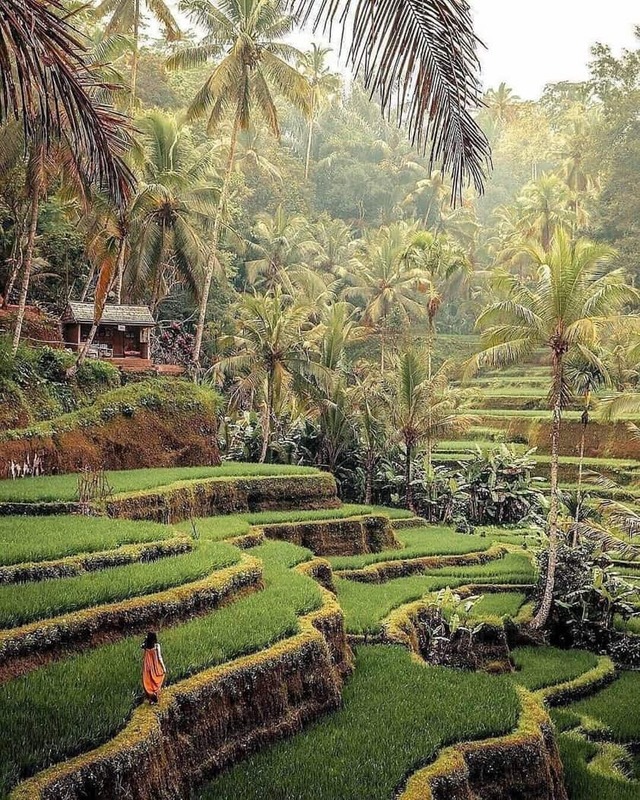 Your first stop will be Ubud, a stunning, culturally vibrant town in the central Balinese uplands. 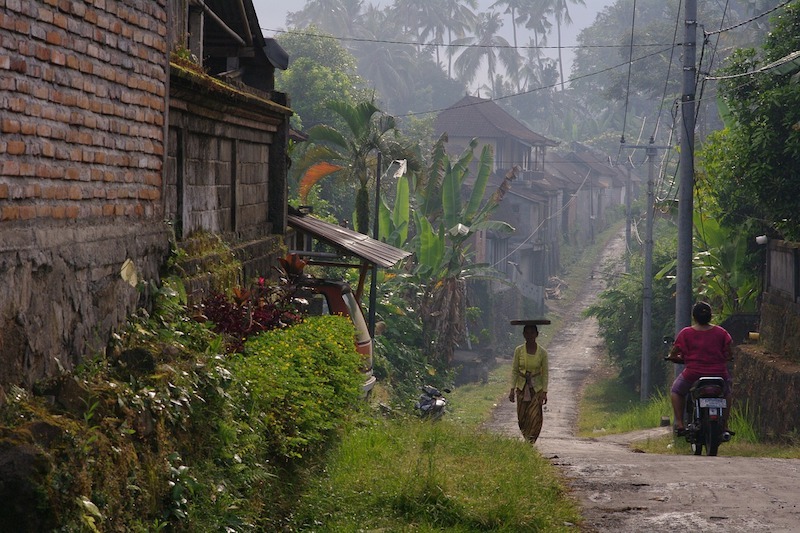 Ubud is less intense than much of the southern coastline. It’s a perfect place to settle in and recover from your flight, while still packing in some great sights and activities. Ubud is nestled in jungle foliage, and It’s striking how quickly you can move from the busy town atmosphere to mini-jungle tranquillity. If your budget allows, you could enjoy a stay in one of Ubud’s gorgeous jungle villas or luxury resorts. Many are within walking distance from central Ubud, but still surrounded by jungle, so you’ll be fully immersed in magnificent natural beauty. Tripadvisor strongly recommends this luxury hotel. If you don’t have the cash to splash on luxury accommodation, or simply prefer the energetic hostel vibe, there are some really great affordable hostels in Ubud too. We suggest staying somewhere in town, or at least close to town, as this will allow you to walk home from the restaurants and bars in the evening, and get around easily during the days. It will also reduce the time spent sitting in Ubud traffic. Your flight will land at Ngurah Rai International Airport in Denpasar, Bali’s capital city. It’s a nice airport and you should be out fairly quickly. You’ll need to get a ride to Ubud, where you’ll be staying for the first few nights. When you walk out the airport doors you’ll be swarmed by Taxi drivers looking to give you an (overpriced) lift. Don’t rush to hop into one of these; there are other ways of getting around Bali. Know how to Negotiate: Walk a bit away from the exit and find a taxi in a quieter place. Negotiate a price with your driver around Rp300,000 ($21). Catch an Uber: You may be able to get an Uber for cheaper than a taxi, but the local taxi drivers won’t approve, so be discrete. Hire a private charter: Some choose to use a private car charter service (such as Klook) to get around. This is a great option if you want to do some exploring with a bit more freedom. Prices start at around $25 per day. The drive to Ubud will take around 1 hour 20 minutes. 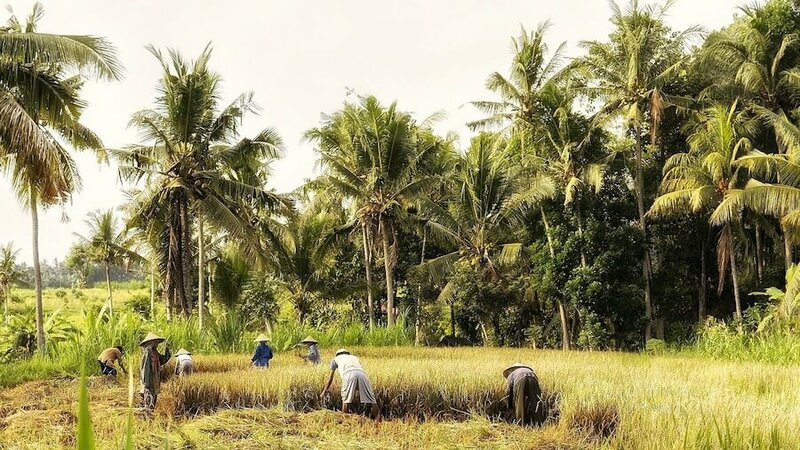 After a long flight and a drive inland from Denpasar to Ubud, you’ll likely want to take some time to recuperate and settle into the Balinese lifestyle. We’ve structured a relaxing first day, that will help you to get comfortable and get your bearings. This day structure assumes you’ll arrive early. Feel free to adjust it as necessary to fit your arrival time. When you arrive in Ubud, check in to your accommodation. If it’s too early to check in, the staff should be happy to store your luggage while you head out for the day. Take some time to wander around the town, explore its beauty and orientate yourself. Jl. Raya Ubud is the main street, and would be a good place to start, but be adventurous with your exploration. Soak in the atmosphere and vibrant culture. You may be hungry after your travels, so while meandering through town, keep an eye out for a restaurant. We recommend trying some of the amazing local food at Labak Sari, which has a great scenic outdoor area. There are many international restaurants too, if you want something a bit more familiar. If you’re not hungry, grab a delicious cup of coffee or tea from one of the many cafes in Ubud. Yellow Flower Cafe comes highly recommended and has incredible views. Once your belly is full and your energy has been restored, take a walk (or catch a ride) to the Sacred Monkey Forest Sanctuary, one of the most popular attractions in town. 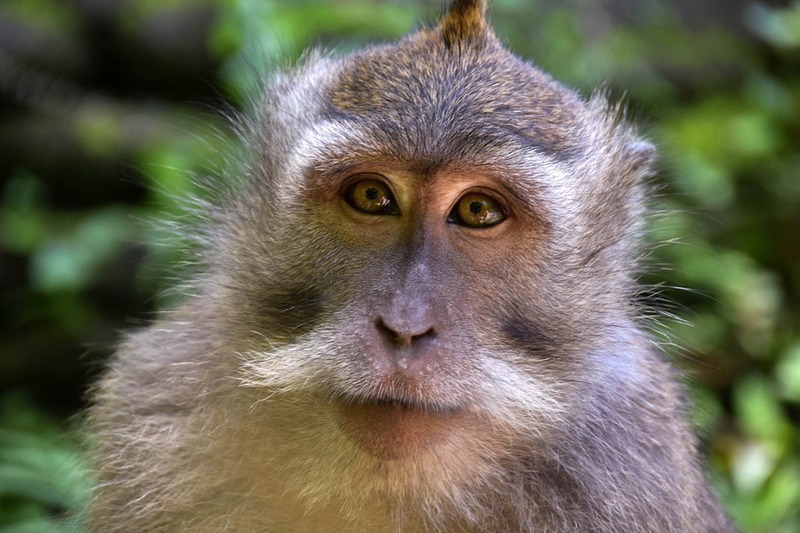 Monkey Forest is home to hundreds of Balinese long-tailed monkeys (macaque). You can get right close up and personal with the monkeys, just watch out for your belongings, monkeys can be little thieves! 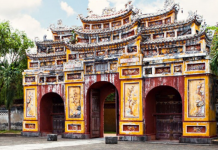 There are also three stunning ancient temples to explore, tucked away in the dense, biodiverse forest. Monkey forest is a must see, and is inexpensive, costing only around Rp50,000 ($3.50) for adults and roughly Rp40,000 ($2.85) for kids. When you’re done marvelling at the monkeys, find deep relaxation with a Balinese massage. Massages come cheap in Bali (you can often get a full hour body massage for under $10! ), and there’s no shortage of places that offer them. 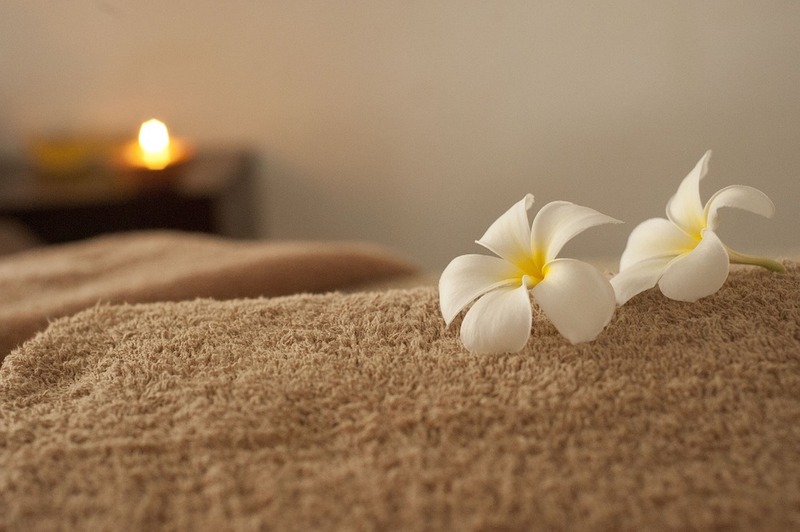 There are many great massage parlours in Ubud, and some luxurious spas, too. 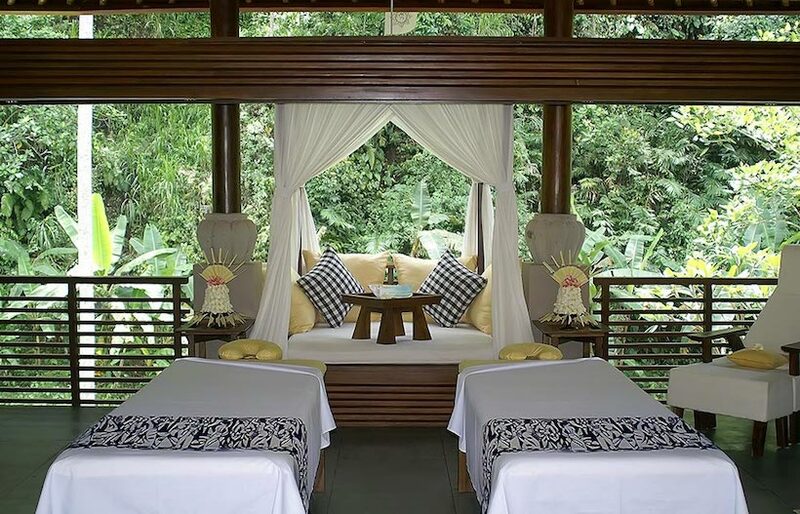 Maya Ubud is a great spa with amazing jungle views. Tip: Balinese massages can be quite rough, which can be great, but be sure to let your masseuse know if its too much for you. You’ll want to freshen up and wash off the massage oil. Head back to your hotel and hop in the shower. Get clean and fresh, and spend a bit of time relaxing at your accommodation. There are some really beautiful places to stay in Ubud, and you could be fortunate enough to enjoy hanging around a pool with jungle views. Time to find some dinner. Take a walk or get a ride into town. The main streets where you’ll find restaurants and bars are Jl. Monkey Forest and Jl. Hanoman. If you want an amazing fine dining experience, you could try Kubu – it’s spectacular and is only a short drive away from town. If you’re tired, head back to your hotel and turn in. If you want to stay out a bit longer, there are many great bars in Ubud, where you could enjoy a few drinks. Your second day will be a big day of trying to experience as much of the island as possible during your stay. It would be a good day to make use of one of the private car charter services we mentioned earlier. 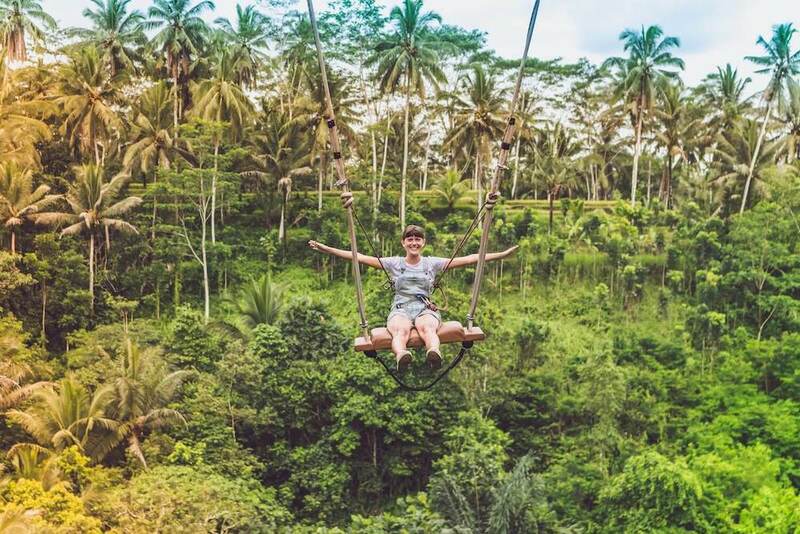 There are day tours and excursions (like this best of Ubud tour) that aim to show you around the main sites of Bali in a short amount of time. These are great if you want something a bit more structured and a guide to offer knowledge and experience. However, using a private car charter will be more affordable and allow for a greater amount of freedom in your island exploration. We’ve detailed a plan for the day below, that you can follow if you’re using a private car. If you decide to go on a tour instead, we suggest picking one that hits at least a few of these stops. Either way, be sure to pack a towel and a swimsuit. The following route involves a total of 2 hours and 30 minutes driving time, spread out over the day. The roads can be a bit rough, but you’ll have a local driver who knows how to navigate them. 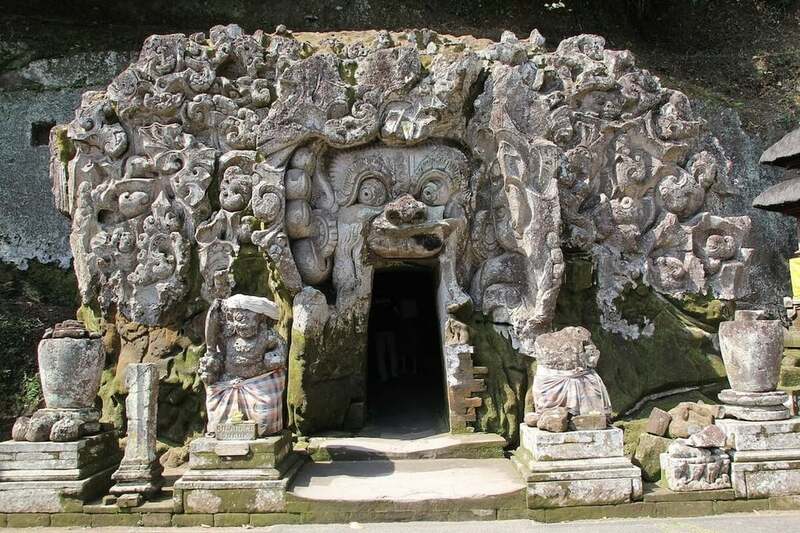 Meaning ‘Elephant Cave’ in Balinese, Goa Gajah dates back to the 9th century when it is thought to have been built as a place of spiritual meditation. It’s a beautiful and peaceful place to explore, and only a 15-minute drive from Ubud. It also only costs about $1 per person. About a 20-minute drive from Ubud (or 15 from Goa Gajah), this waterfall is breathtaking. It’s also fairly accessible and well facilitated. 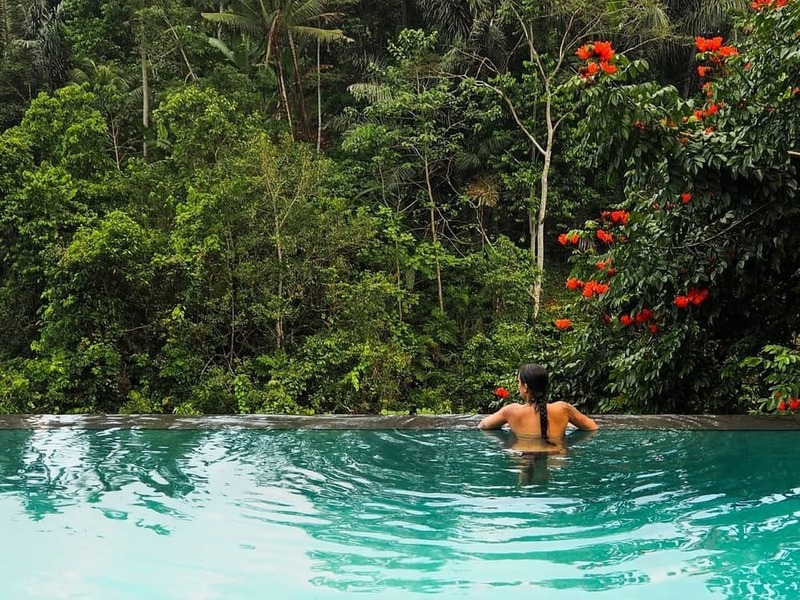 Marvel at its power, soak up the surrounding beauty and take a dip in the crisp freshwater pool after a warm tour of Goa Gajah. When you’re done at the waterfall, or if you’d like a quick refreshment break, grab a cup of coffee or tea at one of the cafes close by. Contrary to the name, ‘Bali swing’ is actually a collection of swings, extending out over a lush tropical jungle. 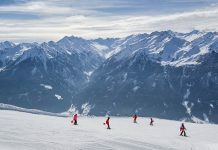 They vary in height and adrenaline level, so there will be something suitable for everyone. There are also tandem swings available, and some romantic ‘nests’ hanging over the abyss. This is a good place to go if you’ve got kids (older than 5), though adults will enjoy it too. The $35 entrance to Bali swing also gets you a complimentary buffet lunch with a spectacular view. After the lunch, you could check out the four waterfalls on site and take a dip in the pools. 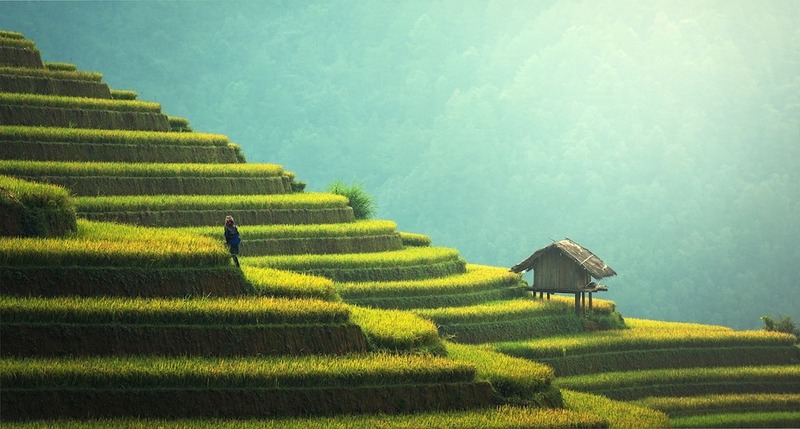 A gorgeous spot to spend the evening golden hour, the Tegalalang Rice Terraces are stacked sublimely around tropical flora, creating a truly picturesque landscape. This is another one of the most popular tourist attractions in Bali, and for good reason. Toward sunset, the terraces are usually a bit quieter and cooler, making for an incredibly tranquil experience. Head back to Ubud when you’re done exploring and end the day with a good meal. 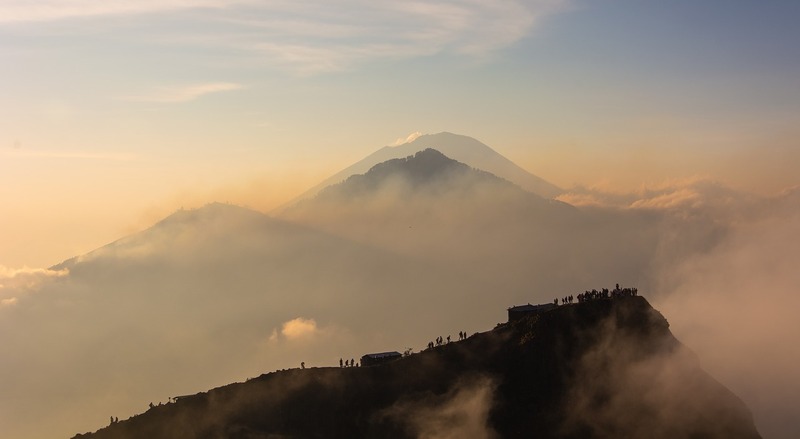 If you feel like exploring a bit further, and you’re keen to see some volcanoes, you could embark on one of the sunrise hike tours of Mount Batur. 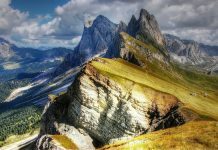 The hikes start in the small hours of the morning and are several hours long, but if you’re up for the challenge, they offer a magical experience. They culminates high up the mountain just in time for a spectacular sunrise view of two nearby volcanoes. This tour also takes you to the Mount Batur Hot Springs, where you can bathe in the natural warm water with views of the volcano. Your third day will be oriented around exploring the cultural sights and locations Ubud has to offer locally. There is a lot to see, but most places are within walking or cycling distance. We’ve made some suggestions for places to visit in town, and planned out the most convenient walking route between them. 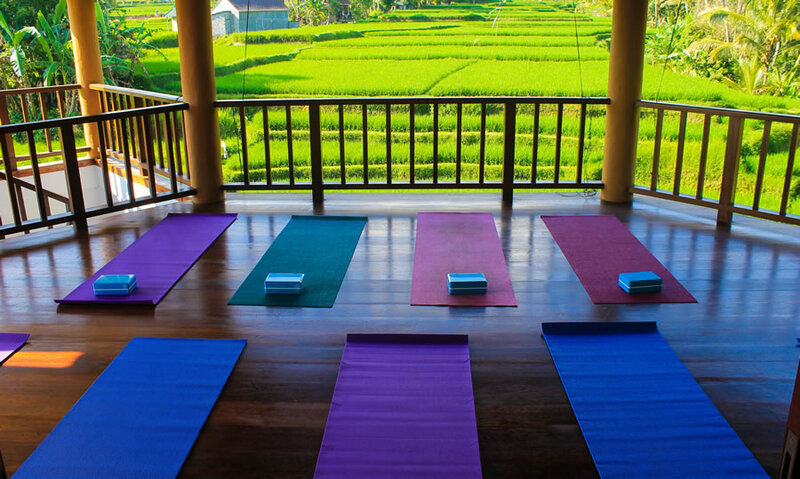 Start the day off right with a yoga class at one of the many yoga studios in Ubud. We suggest Ubud Yoga House for its location and beautiful views. Classes come in various lengths and cater to people of different experience levels. Not just a peaceful experience, yoga is also a great way to prepare your mind and body for a day of walking around and absorbing the culture. This extravagant building was once the home and studio of famous painter Antonio Blanco. Set in a scenic garden, it showcases much of the late artist’s work. The artwork is beautiful and the location is gorgeous. A little further down the same street lies Museum Puri Lukisan, the oldest art museum on the Island. 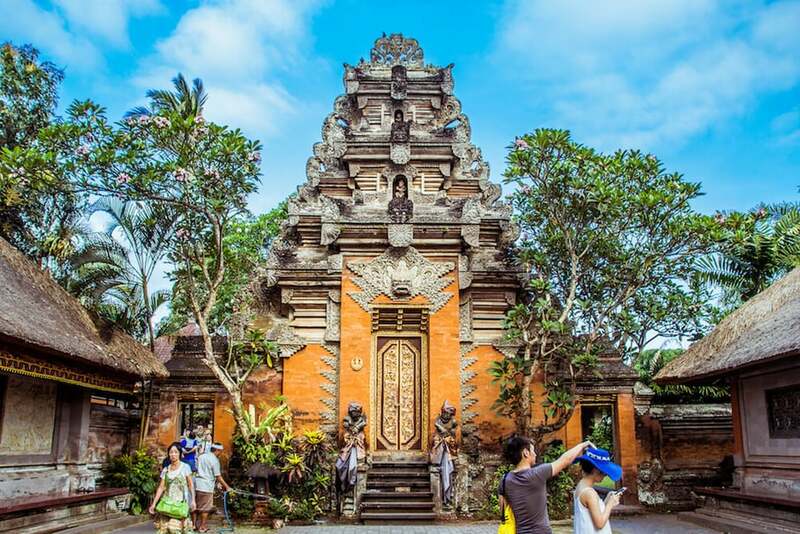 It is another gorgeous building, but here you will find a large and stunning collection of modern traditional Balinese paintings and wood carvings. 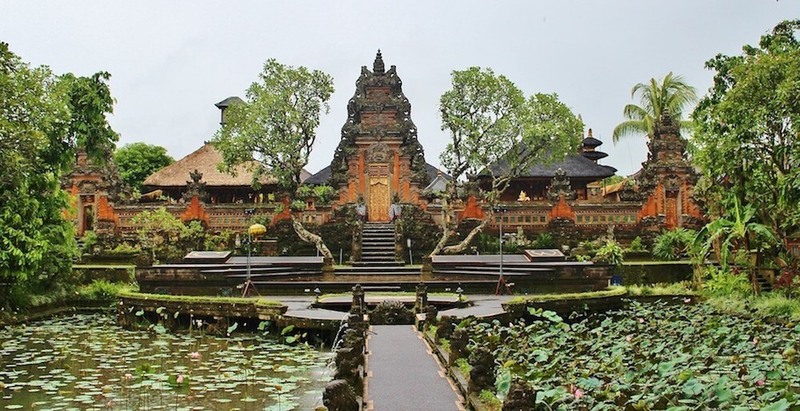 Saraswati Temple is a gorgeous water temple with idyllic lotus ponds and lush garden surrounds. Dedicated to Saraswati, the Hindu Goddess of art and knowledge, the Temple features intricate carvings and ornate design. The Ubud art market is an artisanal market where you can find a plethora of locally handcrafted goods, such as scarves, sarongs, hats, and baskets amongst many more. If you want to buy something, don’t be afraid to bargain with the vendor. Bargaining is part of Balinese culture, and they’ll expect you to bargain when they quote a price. There are many good restaurants in this area, and you could stop off for some lunch before or after the market. Directly opposite the traditional art market lies the former official Ubud residence of the Balinese Royal Family. It’s another striking and ornate work of architecture, set amongst ponds and gardens. Grab some dinner close by, before heading back to the palace in the evening to experience some stunning live Balinese dance set to the sounds of traditional Gamelan music. We’ve planned a relatively physically active day, but made sure to fit in some time to relax on your last day in Ubud. Get an early start and grab some breakfast at your hotel or somewhere in town. Make it a big breakfast, you’ll have an active morning. 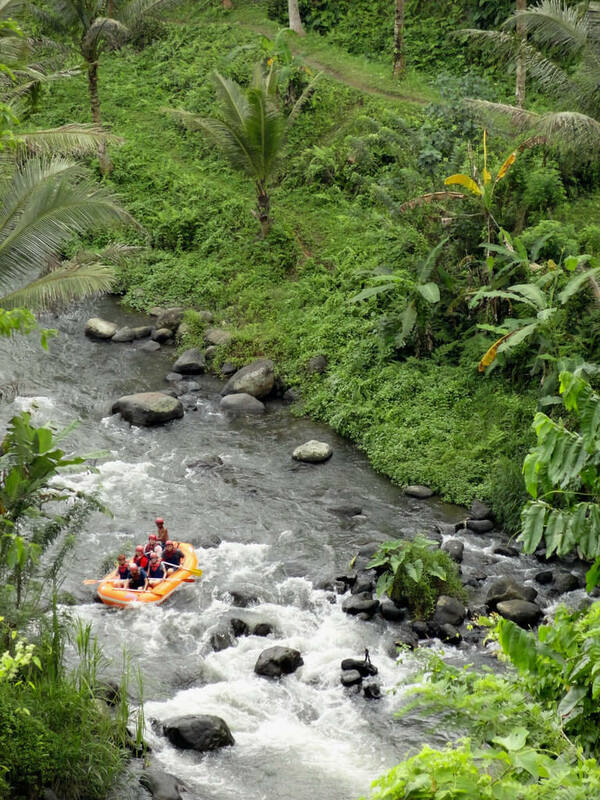 The first activity will be a white water rafting excursion on the Ayung River, a round trip of around 3 hours. You’ll get picked up from your accommodation by the river rafting tour operator, and shuttled to the start point of the rafting route. The Ayung River is the longest on the island, flowing from the mountains in the north to Sanur in the south. The section you’ll be rafting on is gorgeous. 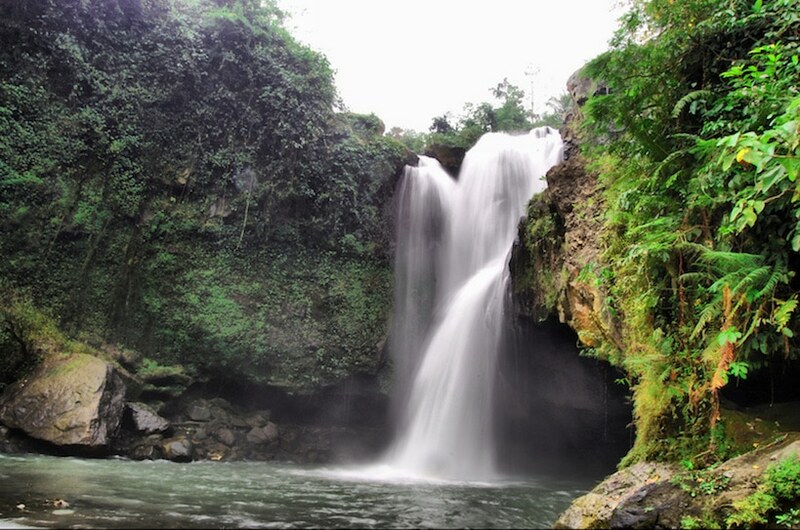 The river flows through deep rock gorges, where you’ll be surrounded by dense jungle vegetation and waterfalls. Not only is this experience breathtakingly beautiful, it’s also some of the most fun you can have on the island. It’s thrilling at times, and tranquil at others, giving you a diverse and engaging experience. The journey down the river will take a little under 2 hours, costing around $35 for adults and $25 for children. This rafting excursion includes an Indonesian style buffet lunch after the rapids, before dropping you back at your accommodation. Take a few hours to rest after an active morning, and maybe head out to do some last minute shopping, or just to have one more wander around town. Toward the late afternoon when the day starts to cool down, head over to the start of the Campuhan Ridge Walk. 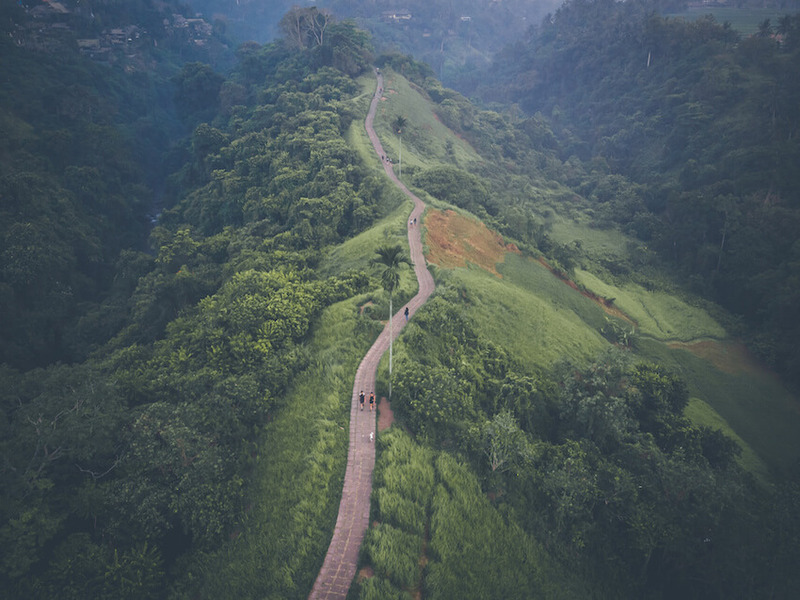 This is a beautiful paved walk along a ridge that winds through Ubud’s scenic surrounds. We highly recommend it – it’s about a 2-hour round trip and gives you a real sense of the magnificent natural Balinese terrain. Tip: Make sure you bring some water with you, as you won’t be able to find any on the walk. Make your way back to your accommodation and freshen up before heading out for a well-deserved dinner. Kepitu offers an amazing outdoor dining experience, with stunning views. Enjoy your last evening in Ubud doing whatever feels right! 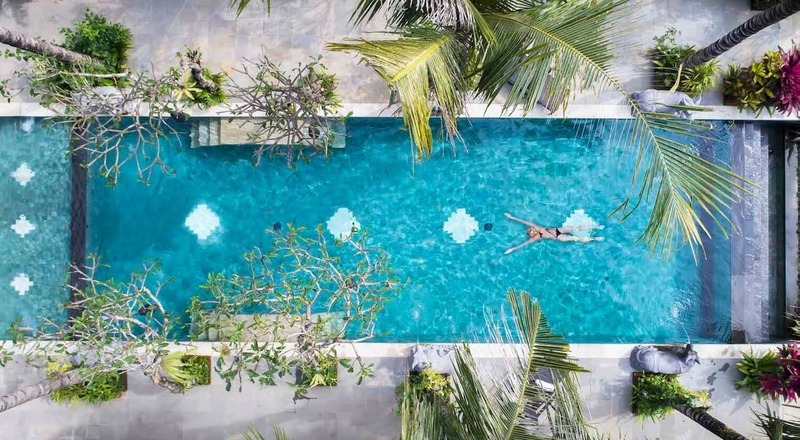 For the next two nights, you’ll be staying in Seminyak, a hotspot for tourism with beautiful beaches, luxurious resorts, and an abundance of great bars and restaurants. 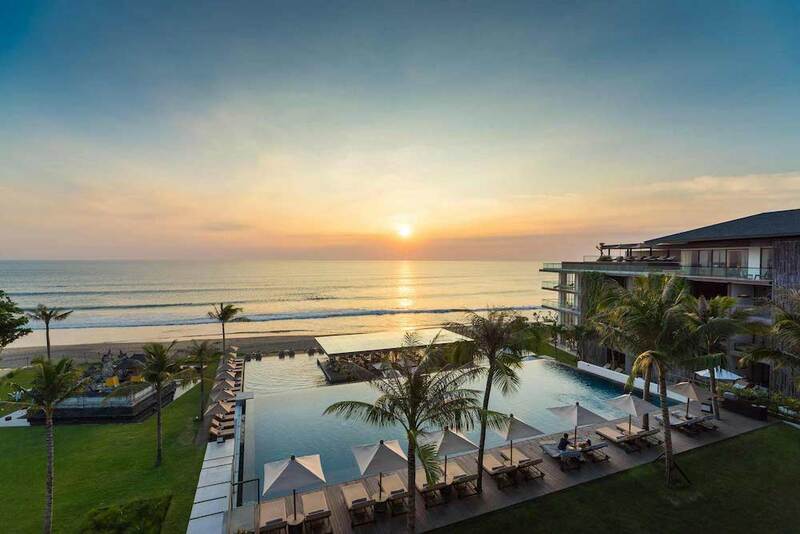 Situated in the South West, Seminyak is one of the more upmarket towns in Bali, and can be a bit pricey. Although it could work for anyone, it’s probably best suited to families and couples. There are other towns that may suit you better, depending on what you’re after. We’ve listed a few popular options below. Laid back hipster village: Canggu is a hip, up-and-coming resort village just north of Seminyak, and is much less established. 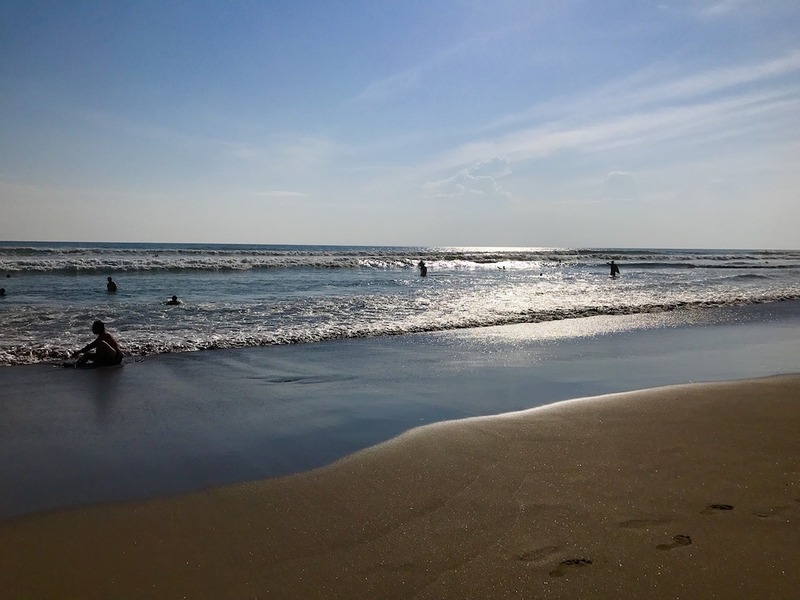 Canggu has black sand beaches, good surf, and is great for young backpackers. Bustling party village: For more of a party scene, you could stay in the bustling, high-energy village of Kuta. It’s by far the most popular tourist village on the Island and is very busy, but it’s got a great beachfront. Quieter party village: Situated right next to Kuta, Legian offers much of the same as Kuta, but is a bit less chaotic. Whichever of these you choose, the following plan won’t vary much. All of these towns are relatively close together and offer similar activities. After a busy and culture-filled few days in Ubud, your time in the South will be more orientated around relaxing and enjoying the beaches and resort facilities. If it fits in your budget, you could stay in one of Seminyak’s many luxurious beach resorts. Most boast sea views, direct beach access, and incredible swimming pools on the seafront. These are ideal for couples and families. 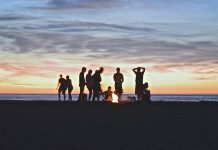 If you’re looking for more affordable options, or want to meet like-minded young travellers, there are some awesome hostels in the area too. Wake up early, have breakfast and organise transport down to the South of the island. 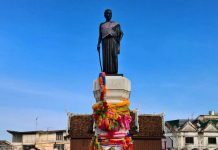 The drive to Seminyak is about an hour, and you could use any one of the methods of travel we discussed earlier; A private charter service, an Uber, or a local taxi. You will have done a lot of exploring and travelling around in the previous few days, so when you arrive in Seminyak, take some time to relax. Soak up the amazing weather and enjoy the beach lifestyle for a couple of hours. After taking some time to relax, head out into Seminyak’s bustling village centre to explore. Find a good restaurant to have some lunch and coffee. Jl. Laksmana street is where most of the restaurants are. A good surf is one of the best ways to spend your afternoon at the beach. If you’re an experienced surfer, go grab one of the boards up for rent on the beach. 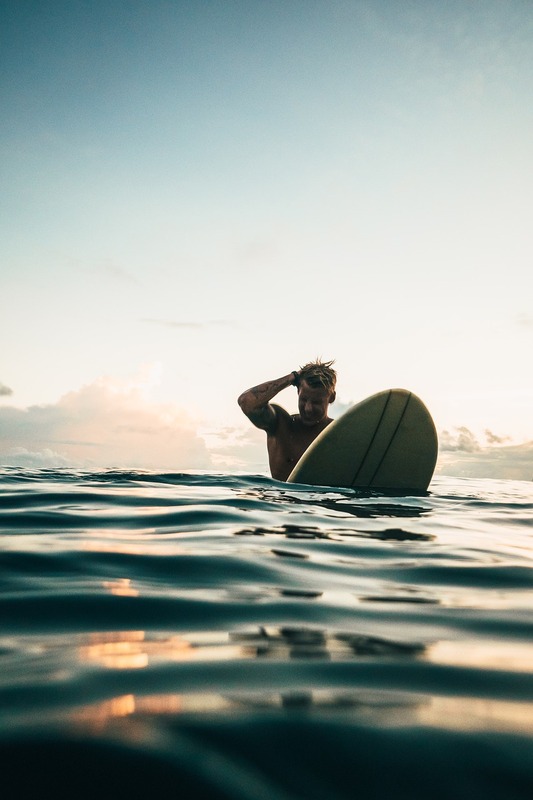 If you’re a beginner, make use of a surf school to take you out and show you the ropes. Go back and have a shower or a dip in the pool to rinse off the salt, and put on some dry clothes. Maybe have a bit of downtime and read a book in the mellow late afternoon sun. Wander down for a beach walk in the soft evening light. 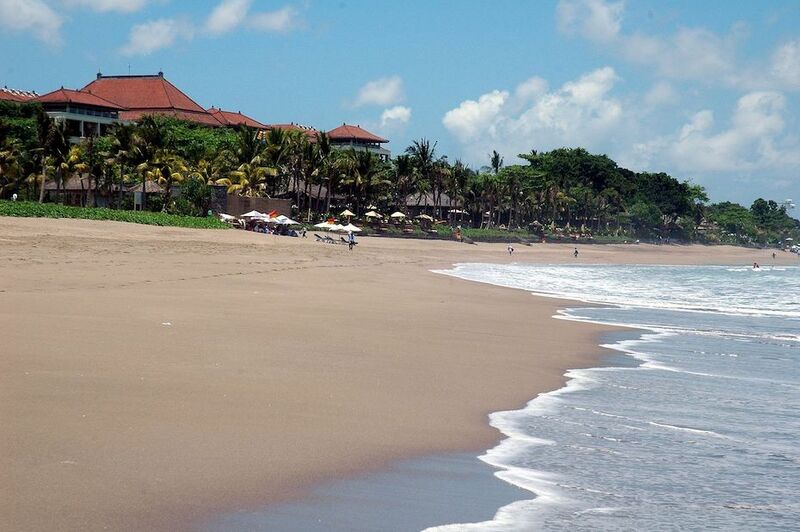 The beach extends far into the distance in both directions from Seminyak, so you can choose which way to walk. Along the walk back toward your accommodation, stop at one of the many beachfront bars and restaurants to watch the sunset with a drink in hand. La Plancha is awesome, with comfy beanbag seating right on the beach. 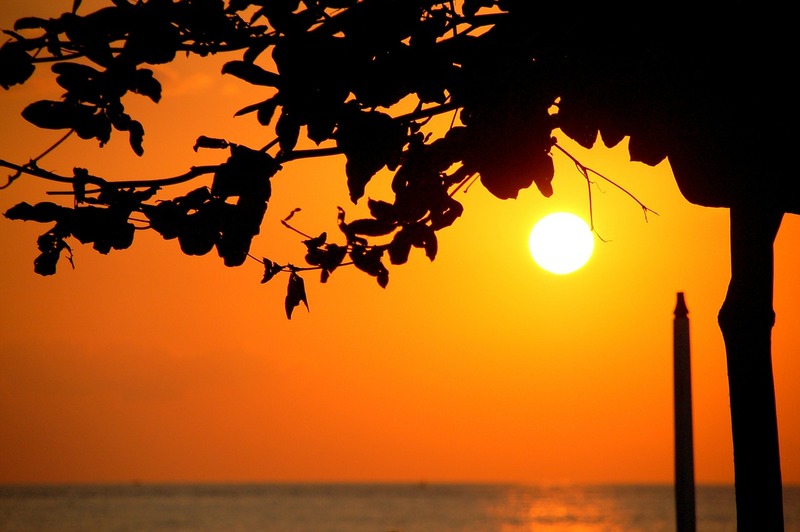 One great thing about the beaches on Bali’s West Coast is that the sun sinks down right over the ocean. Bali is famous for these beautiful sunsets. Eat dinner at the same place, or find a great restaurant close by before heading back for a good night’s sleep. Another early start in preparation for a full day excursion. Have some breakfast and a cup of coffee before heading out. Bali is home to an incredibly diverse and thriving marine ecosystem, which paired with its crystal blue water, makes it a crime to not to continue your island explorations underwater. Scuba diving and snorkelling excursions are the best ways to experience Bali’s magnificent underwater world. There are plenty of options for diving day trip operators. Tripadvisor strongly recommends Diving Indo. 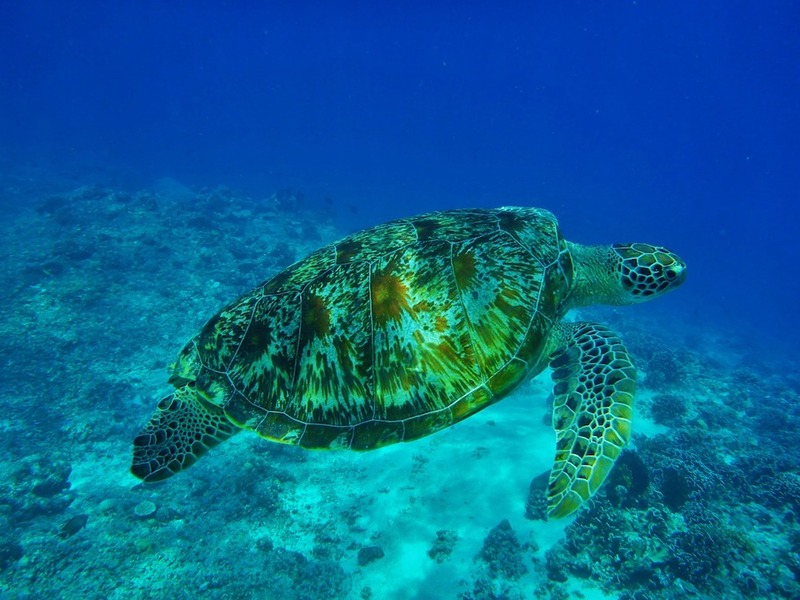 They offer a range of tours, boasting sights such as shipwrecks, manta rays, sea turtles, tropical fish and vibrant coral reefs. This snorkelling day trip comes highly recommended as well. Most tours are around 8 hours and include lunch. You’ll also be able to arrange a pick up from your accommodation to get to Sanur in the South-West. This is where the tours depart from, and it’s roughly a 35-minute drive from Seminyak. The underwater adventure will take up most of your day, but you should be back in Seminyak in time for a shower before heading out for a sunset dinner. Your last day in Bali should be a day of relaxation. It’ll be a transitionary day that will get you ready to return to everyday life. Try to book a late afternoon or evening flight so that you can make the most of your last day. 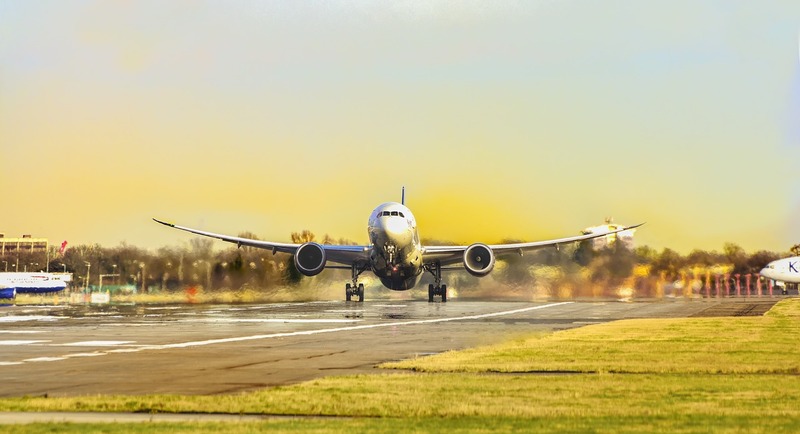 Just be mindful that you will likely have to check out of your accommodation in the early afternoon, so you’ll have to be out and about from that point until your flight. Make the most of the last few hours before having to check out of your accommodation. Wake up slowly and enjoy your last breakfast in Bali. Spend some time lounging on the beach or by the pool if you have access to one. Read a book, have some coffee, and take a dip. We opened the holiday with a massage to help you transition, and we think it’s the perfect way to close the holiday, too. 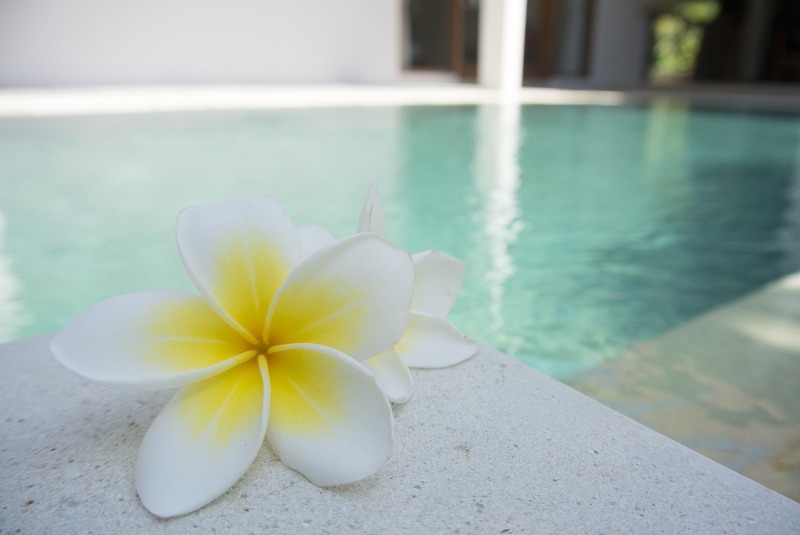 After a relaxed morning, have one last Balinese massage at one of the spas in Seminyak. Zanti The Retreat is highly recommended and offers a great spa experience. Check out of your accommodation in the early afternoon. They should be happy to store your bags for the afternoon. Head out into town to grab some lunch and warm beverages, then wander the streets and do any last minute shopping. Unfortunately, your time in Bali will come to an end. We planned for your trip to culminate in the South, only a 25-minute drive from the airport, so you don’t have to spend your last day in a car. Grab your bags and use your preferred transport method to head over to the airport and catch your flight. Being a mere 8 degrees south of the Equator, Bali is warm with average temperatures hovering around 26°C – 28°C all year round. Rainy season lies mostly between December and March. High season in Bali is in July and August when those in the Northern hemisphere have summer holidays. It also gets busy around Easter and Christmas. The best time to visit the island is the couple months preceding, and the couple months following the mid-year high season. 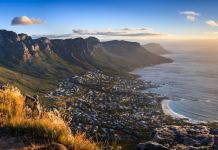 In these months (May/June and September/October), accommodation prices can be dramatically lower than in peak season. These months are also warm, dry, and not too humid. During the rest of the year, Bali is still warm (around 26°C), but does see a lot more rain. 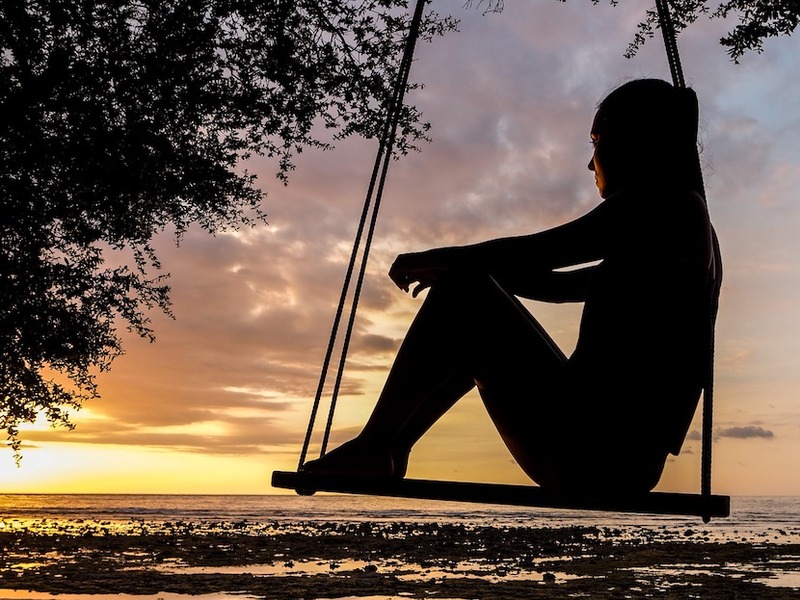 Unless you live somewhere close by, we wouldn’t recommend spending many fewer than 7 days in Bali, especially if you’re coming from a different time zone. There isn’t really an upper limit on how long you could spend there. It will likely be an enjoyable location for as long as your schedule, wallet, and visa allow. Some even choose to stay indefinitely, as evidenced by the size of Ubud’s expat community. The local currency is the Rupiah (Rp). $1 USD will get you about Rp14,000. Depending on where you’re travelling from, you’ll likely experience some jetlag on your first couple of days. 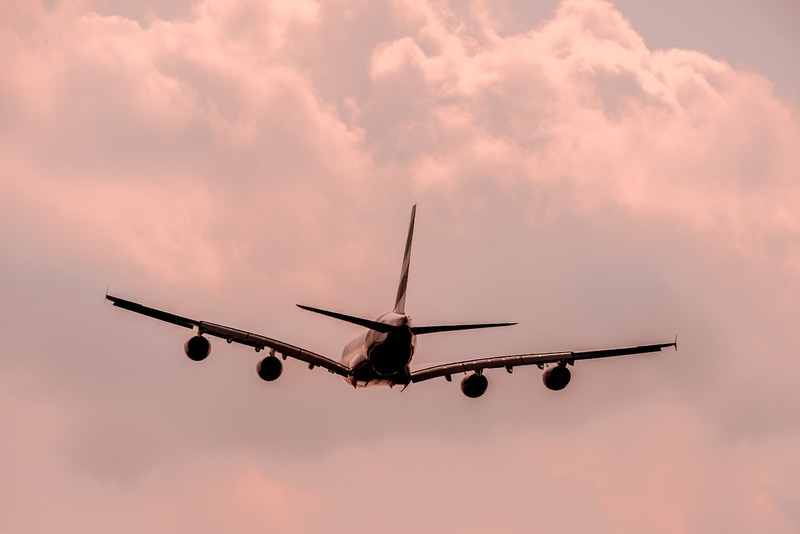 This can make settling in unpleasant, but fortunately, there are ways to mitigate the effects of jetlag and make the transition a bit easier. Bali is a beautiful and magical place, with plenty to offer. From jungles to beaches, and volcanoes to monkeys, we’re sure you’ll have an amazing adventurous vacation. 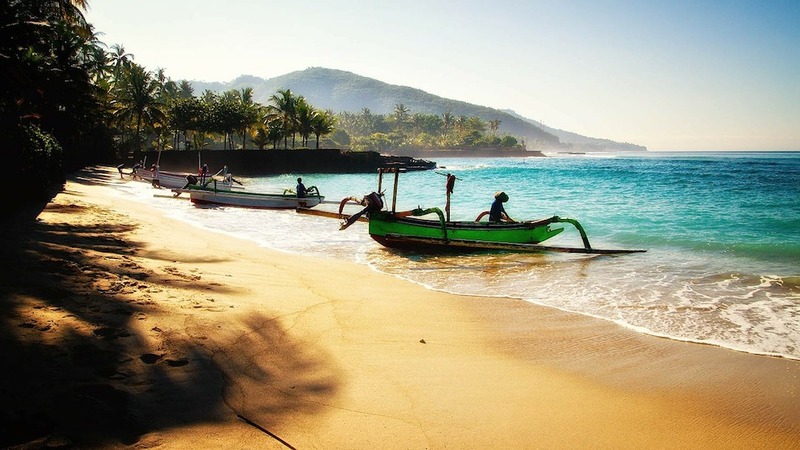 It’s impossible to see all of Bali in just 7 days, but we feel this itinerary hits many of the main attractions and offers a good sense of the island. You can follow this guide as closely or loosely as you choose. If you choose not to follow it exactly, we hope that it acts as a great starting point for planning your trip to the Island of the Gods.